I have a job matching existing casework, a sample was provided. I need help Identifying wood species (and finish if possible), not my strong suit beyond the common ones. 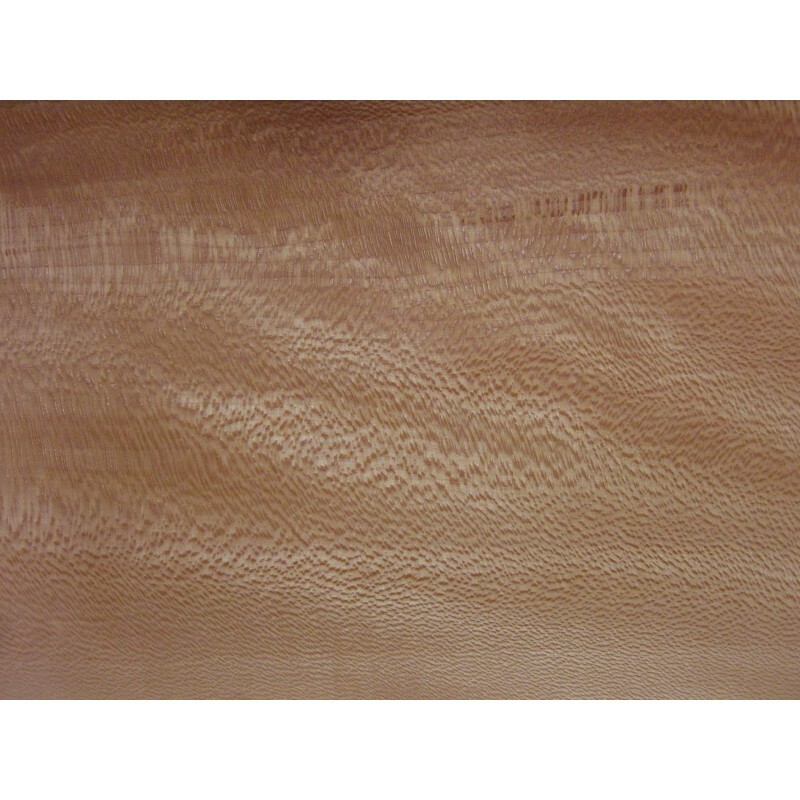 This looks like beech to me, it is true 90* quarter sawn in the sample, but compared to the european beech I have the "specks" are larger, more rounded, and have a slight purplish hue. The "flat sawn" edge has no character, also the sample feels slightly light for beech. The finish seems to be shellac only with no stain but has aged to the deep reddish brown. It appears to be brushed and the color is quite uneven depending on film buildup. The color seems to be strictly the wood and the top coat aging, the door back is only half as dark. Help anyone? 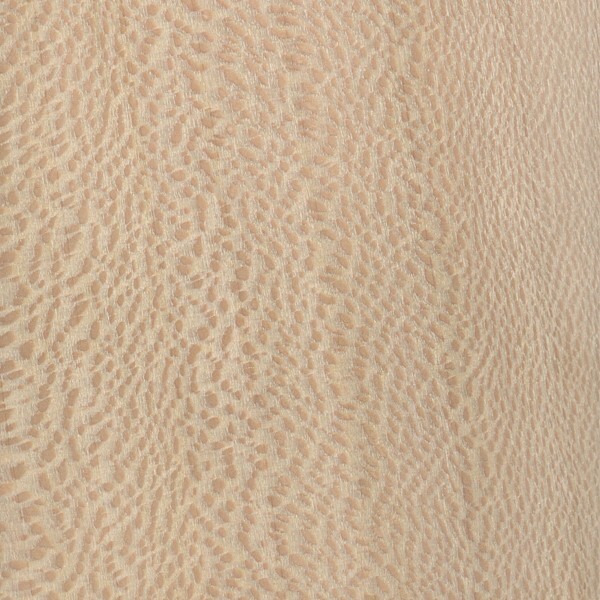 I think you put me in the right direction, see the picture of quarter sawn Sycamore. Now how to make it look the same? Yes, I beleive it is qtr sycamore, Frank Miller has it if you need to source some of it, does not finish well in my opinion, but have not used it for years. The finish looks like Garnet Shellac. 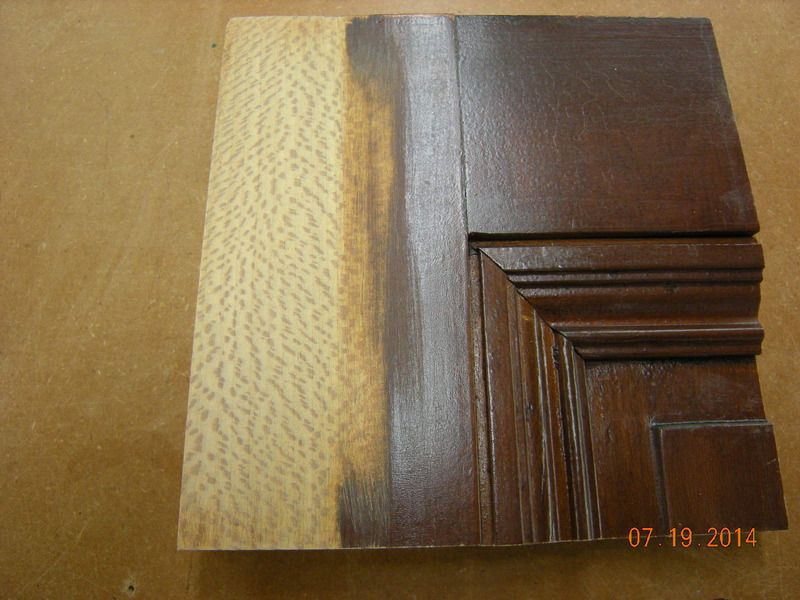 I had to repair a Gum wood mantle that was damaged and the Garnet Shellac was the closest color match I could find. You have to experiment with the no. of layers to archive the color density you need. At least it will get you close in color, hard to match the age. Another vote for Sycamore. It is lt. wt. displays a nice Qtr. And another vote for sycamore. A value wood when I was in high school shop...a long time ago. Thats putting it nicely Ranliker, but it does make a nice pallet. I thank you for the information, this is a fantastic resource. As I expected, the "powers that be" once they found out the cost and time to duplicate decided pretty much any handy wood with some sort of color on it will do fine - just hurry it up! Demoralising to have to do such things. it's too bad that cost won out over quality in this instance; a balance must be found in every case. if it hadn't, and there was enough of the sample available, you could have scraped off the old shellac, dissolved it in alcohol, filtered it, stretched it a little with some new garnet shellac (if need be) and finished your new work with an exact match. If you use garnet shellac to finish the sycamore, you can darken the hue at any time by adding a few drops of Transtint dye to the shellac. Transtint is available in mamy colors and goes a long way. It also has no shelf life, so you can keep it indefinitely and add it to waterborne finishes as well. I do this fairly often. 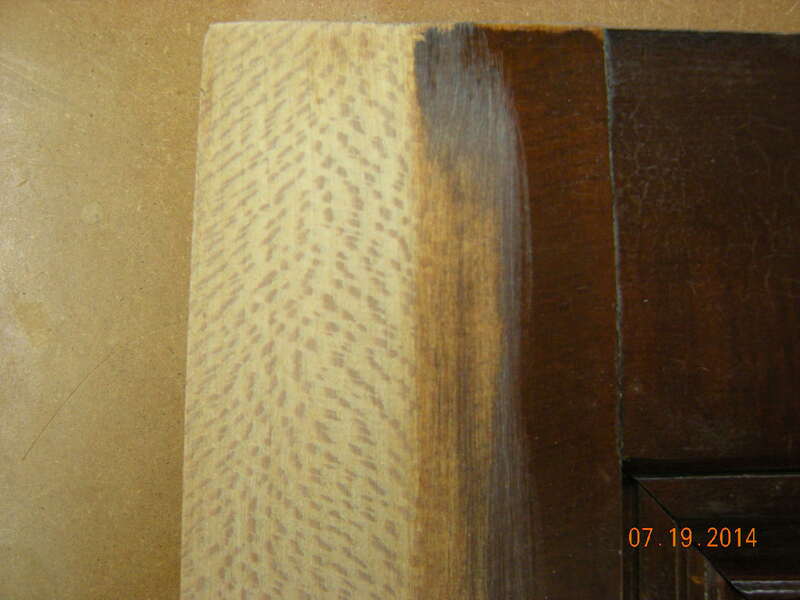 Of course, pretest your custom mix on scraps of the same wood and "sneak up" on your desired color with a couple of coats, rather than trying to get it all in one dark pass.